Narayani Gaia is here to support you in your path of awakening, healing service and freedom. 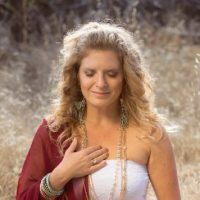 She is committed to supporting those who are leaders, healers and guides for others. Whether you are already doing your dharma in the world or are wanting to step forward in a new way, we may be able to help you. Please check out the below offerings. Are you seeking more spirit in your life? Have you seen lights and wondered whats up with that? Would you like to know what your spirit guides are wanting to tell you? Are you struggling to get real clear guidance? If you answered YES to one or more of those questions, you are invited to sign up to for a Spirit Reading. This session is for you if you are interested to nurture your body in alignment with your soul and hear the voices of your Higher Self and Spirit Guides to stay inspired to walk in your heart into the future. $200 per hour. Do you feel called to work with Narayani? If you want to connect, lets talk..